George Binette writes on Camden’s newly-privatised, minimum wage care home which was this week savaged by a Care Quality Commission report following concerns raised by whistleblowers. In late June this year Shaw Healthcare took over the operation of the new £30 million Wellesley Road residential care home under a long-term contract with Camden Council. The opening of the home concluded the second and final phase of the so-called ‘Homes for Older People’ project. 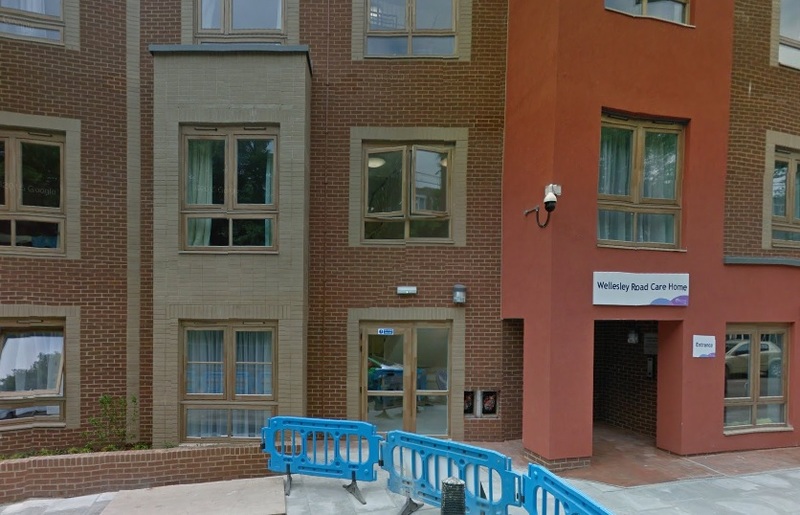 The Wellesley Road facility replaced two Council-run homes (Branch Hill and St Margaret’s) for older people with various forms of dementia and joined the Maitland Park/Gospel Oak Court complex, which opened in June 2013, under Shaw’s management. Shaw currently enjoys a PFI-style agreement with the Council that is due to run until 2040-41. Negotiated under the previous Lib Dem/Tory partnership, the new Labour administration awarded the final contract in summer 2010. UNISON had argued strenuously but unsuccessfully against the privatisation of residential care services, and then sought from the spring of 2013 to win the introduction of the London Living Wage (LLW) as the basic minimum rate on the contract. The company, however, has consistently refused to negotiate an agreement with Camden to implement the LLW in the new Camden homes, where hourly rates amount to poverty pay in Europe’s most expensive city. At present, Shaw pay domestic staff the National Minimum Wage of £6.70 an hour to domestic staff and £7.57 for careworkers, some 20% below the current LLW rate of £9.15. Shaw has reportedly demanded an additional £800,000 a year to upgrade pay in its Camden homes to the LLW rate. UNISON was not just concerned with the dramatic erosion of workers’ pay and conditions, but the implications of abysmal wages for the standard of care provided to vulnerable older people. A report published on Wednesday 14 October by the official social care watchdog, the Care Quality Commission, strongly vindicates our position and gives a damning verdict on the performance of Shaw at Camden’s ‘flagship’ care home. The Commission’s report was based on an inspection conducted in late July, which came in response to anonymous complaints from both staff and residents’ relatives in the days that followed the opening of the Wellesley Road home. While the inspectors stopped short of recommending immediate enforcement measures, they found that the facility ‘requires improvement’ on all five CQC criteria including residents’ safety. In particular, the inspectors found that ‘people were potentially put at serious risk of harm’, having been left more or less bed-bound ‘all the time’ for extended periods. This failing appeared to stem from inadequate staffing levels and a heavy reliance on agency workers, which also led to ignorance of ‘people’s individual care needs’. In addition, the report highlighted two breaches of the supplementary regulations introduced last year in connection with the Health & Social Care Act 2008 regarding the administration of medications. The inspectors also found a culture of mistrust between staff and management with the workforce lacking the confidence to raise issues of concern with Shaw appointed managers. In its responses to the local press Shaw would have us believe that the new home was suffering from teething problems at the time of the CQC inspection and since then ‘the service is significantly improved’, yet that assertion doesn’t fit with anecdotal evidence UNISON has received from members working at the facility. We welcome the recognition by Cllr Sally Gimson, the Cabinet member responsible for Adult Social Care, of the link between the decent treatment of staff and standards of care for some of the most vulnerable in society. We are hopeful that she is serious about making use of ‘every lever at our disposal’ to ensure that either Shaw starts paying the LLW and generally improving workforce conditions or else departs from Camden long, long before the expiry of the current contract 25 years from now! Meanwhile, UNISON will continue campaigning locally for the LLW as the basic minimum rate and ultimately for a reversal of the privatisation of residential care services. But there also is a desperate for our union nationally to do much more by way of extending the Ethical Care Charter from the home care sector to residential care facilities, through recruiting and organising among care home staff and by a sustained effort to highlight the often hidden costs to vulnerable older and disabled people and their families of the race to the bottom in workers’ pay and conditions across an increasingly privatised social care sector. You can support our campaign for fair pay for residential care workers here. This entry was posted in Uncategorized and tagged care workers, elderly, health & safety, living wage, privatisation, Shaw, Supporting People. Bookmark the permalink.